Sterling Silver. 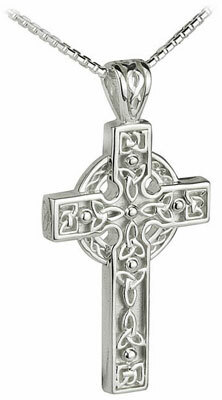 This heavy mens celtic cross shows the trinity knots. Made in Ireland.